iPad 2 Jailbreak Coming in "About Three Weeks"
Even the most experienced hackers have trouble jailbreaking the iPad 2 because of its Apple A5 dual-core processor. One coder, posixninja, has been working hard to develop a tool that will successfully jailbreak Apple’s most recent device. Rumors thus far have suggested his program will become available in “about three weeks”. It’ll likely work on the iPad 2G as well, as soon as it gets jailbroken. Rough ETA is about 3 weeks, according to @p0sixninja. p0sixninja, the Chronic Team member has put in charge of developing an iPad 2 jailbreak, has apparently been working hard on this for quite a while. 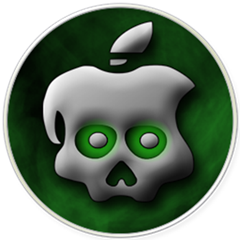 While the posixninja’s team announced they had discovered the Achilles heel behind the iPad 2’s security system earlier this month, the Chronic jailbreak team isn’t exactly known for punctuality.